Obtaining a Divorce in NC is a relatively straightforward process. But if you are not careful, you may fall into some pitfalls. Because there is a one year separation period before the parties can obtain an absolute divorce in NC, many couples will use that time to begin negotiating potential divorce settlements. At any time, either party may file a complaint for child custody/support, post separation support, or property division. Once a complaint is filed, there are a number of deadlines that are imposed on the parties by local rules. In the event that all the financial and custody issues are resolved at the expiration of the one year separation period, the parties may move forward with a complaint for absolute divorce knowing that their divorce is almost final. To begin the process of getting a divorce in NC, you must file a civil complaint for absolute divorce, which is filed with the district court by the husband or wife, which states that either the husband or the wife have been a resident of NC for 6 months, and that the parties have been separated for one year. Typically, the party that files the complaint may also request that the court award other types of relief, such as temporary and permanent support, property division, or custody of the children (if these issues have not already been resolved). The other party must file an Answer within 30 days of being served, which addresses the matters within the initial complaint and perhaps raises issues that the answering party desires. There is no defense to a complaint for absolute divorce. 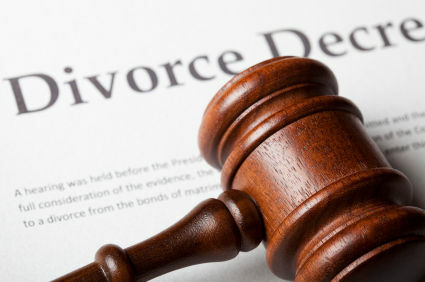 Local rules governing divorces require that each party provide certain financial documents and a completed financial affidavit to the other party within 30 days of the service of certain complaints for post separation support, child custody/support, or property distribution. In the case of the party served with the complaint, they must provide their disclosures within 45 days of being served, or at least 15 days prior to a temporary support hearing, whichever comes first. The extent of the information to be provided depends on various circumstances that are unique to each case. Failure to provide this information can result sanctions from the court, including including, but not limited to, dismissal of any, or part of any, claim for relief, striking the pleadings, disallowance of evidence and/or testimony, a fine, and payment of costs and/or the opposing party’s reasonable legal fees. Some couples agree on property settlements, child custody, and other post-divorce arrangements before or soon after the original complaint is filed. They then enter into a written agreement, signed by both parties, that may or may not be presented to the court. In such an uncontested case, a “complete” divorce (i.e. all issues have been resolved) can become final in a matter of a few weeks. However, it is also possible that the parties cannot reach a resolution on all outstanding issues, in which case the Absolute Divorce can be granted without resolution of the other matters. Mediation is a procedure to assist you and your spouse in working out an arrangement for reaching agreement without a protracted process or a trial. Its purpose is not to save a marriage, but to help divorcing couples reach a solution to their problems and arrive at agreeable terms for handling their divorce in NC. Wake county provides a mediation service for child custody cases. Finally, some couples cannot agree on much of anything and a trial-with each side presenting its case-is required. The judge makes the final decision on contested issues. In North Carolina, the judge may hold several trials, one for each issue presented. Attorneys have learned that it is unrealistic to expect both partners to be “happy” with their divorce. The experience can be emotionally devastating and the financial upheaval of supporting two households instead of one causes hardship for the entire family. The parties, however, can take steps to make the process easier for themselves and their children.